Imagine yourself at your most good looking. Now multiply that with like a hundred. 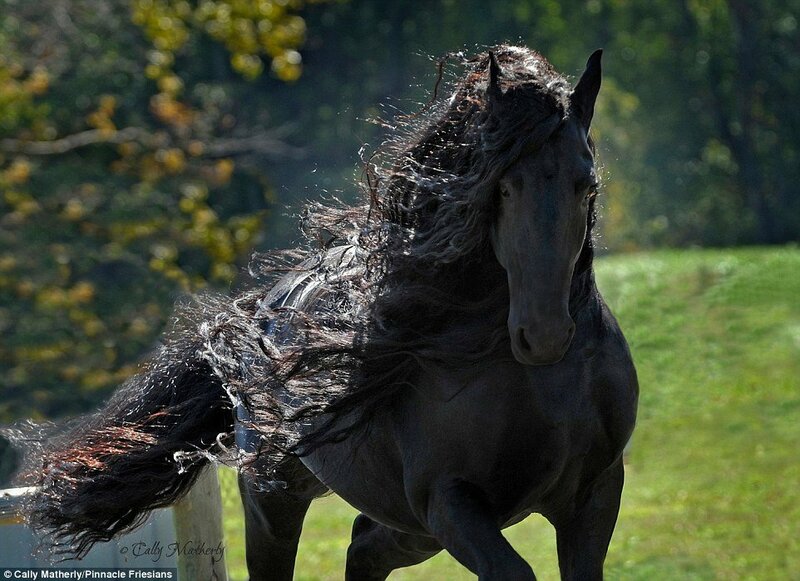 That's probably how gorgeous this particular horse is on any given day, if not more. 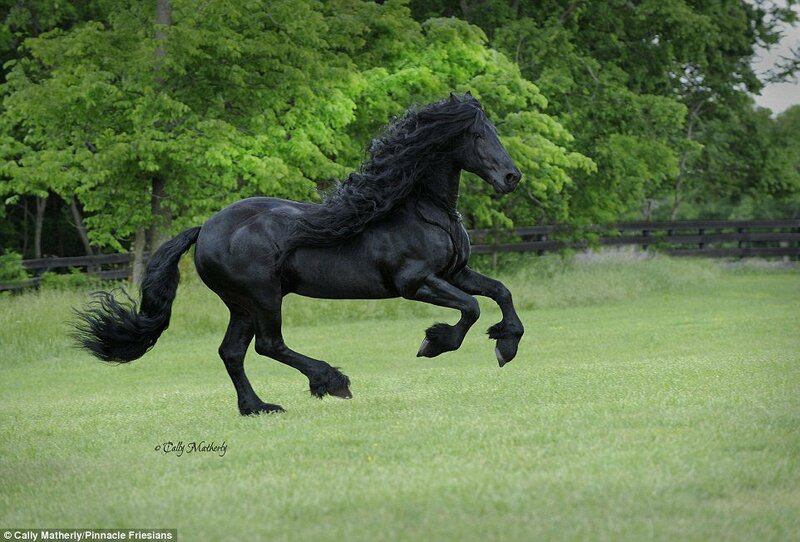 Meet Frederik The Great, a Friesian stallion from the United States that'll take your breath away. 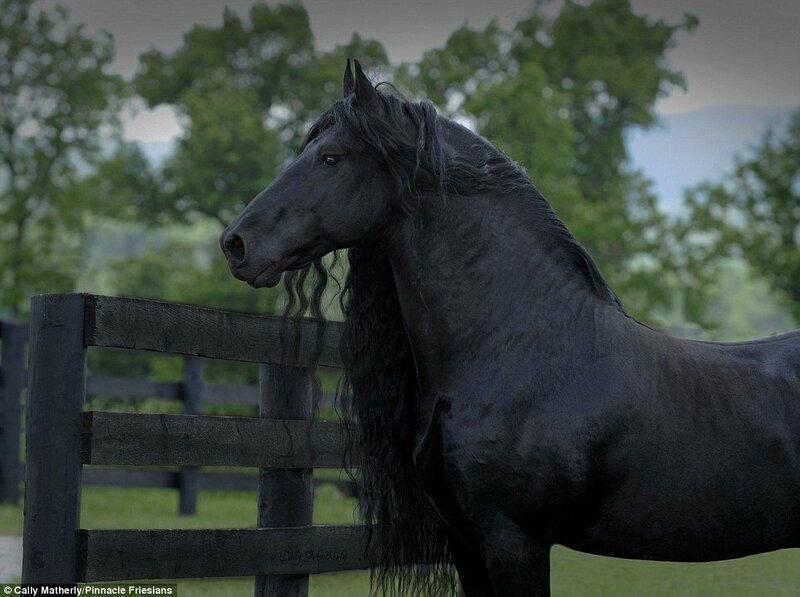 Frederik is owned by Pinnacle Friesians and is a prime stud at the Ozark Mountains in the US. 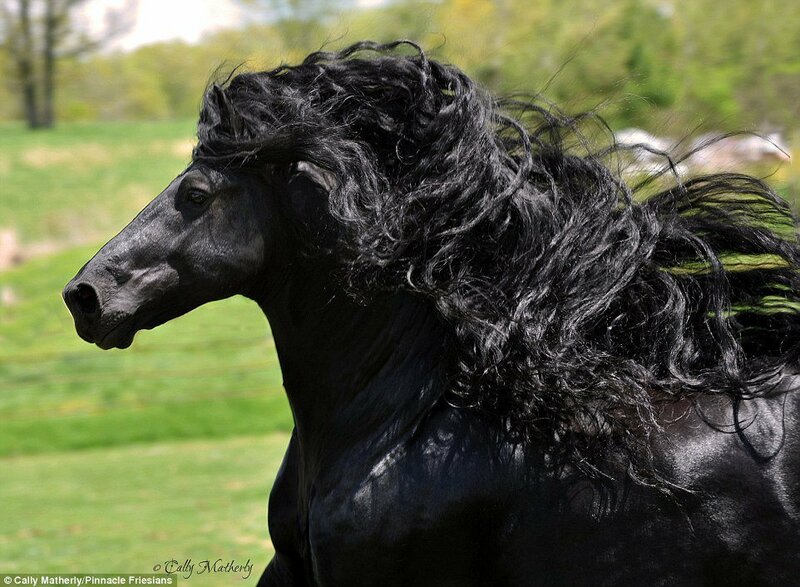 He has a godly muscular build, a striking black coat to match and a flowing wavy mane that'll put all shampoo commercial models to shame. It's no wonder he's got his very own Facebook page has over 12,800 followers and an online gallery featuring artwork inspired by him. Frederik shares his name with the ruler of Prussia from 1740 to 1786 and may well be the most spectacular creature to ever have run across land on slo-frikkin-mo. In case that wasn't enough horse-eye-candy, here's a video of him galloping freely in all his stunning glory. 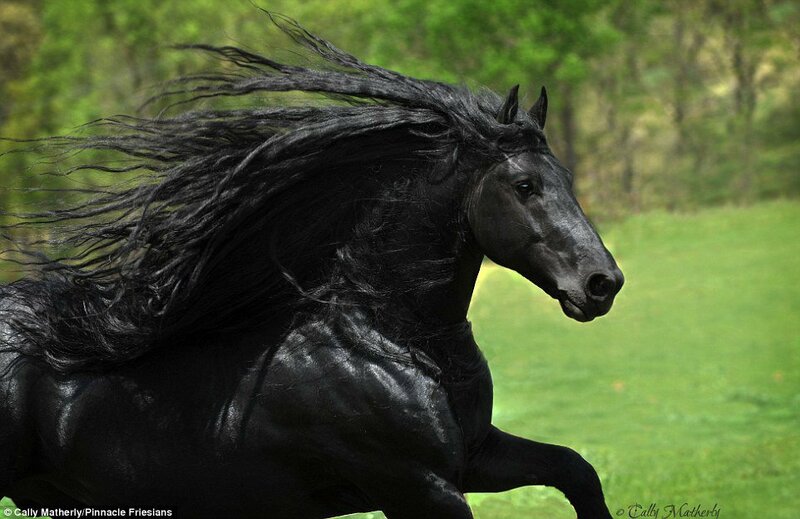 *swoon* If the Greek Gods were to take equine form, this is what I assume Zeus would look like. Wouldn't you agree?